JSM Services can deep-tine aerify any type of turf for all types of sports fields and golf courses including fairways, tees, and greens. JSM Services uses a Wiedenmann Terra Spike XD that was specially modified for enabling the machine to go to a 10" depth using either solid or hollow core tines. Deep-Tine Aerators penetrate deep into the soil to maximize water percolation, stimulate root growth, and improve air flow to the root system. A deep root system creates healthy turf, enabling it to better withstand compaction, drought periods and extended periods of high temperatures over the summer. 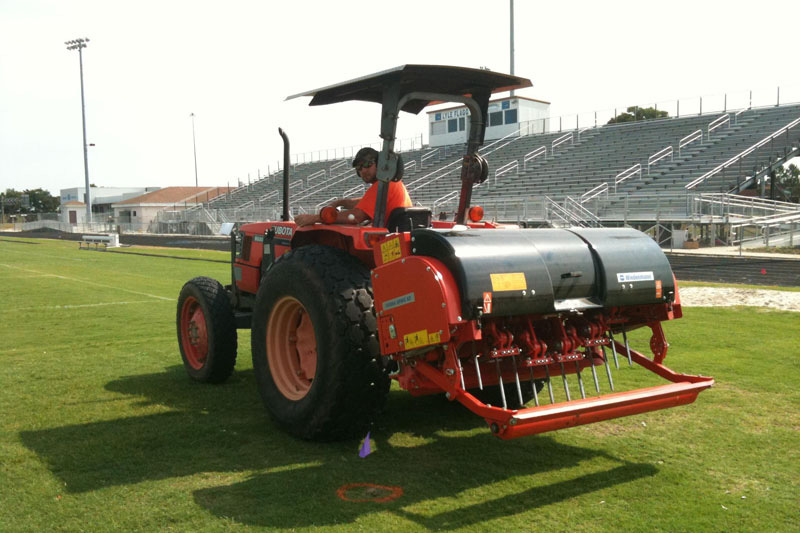 Deep tine aeration is far superior to traditional core aeration for athletic field and golf course maintenance.